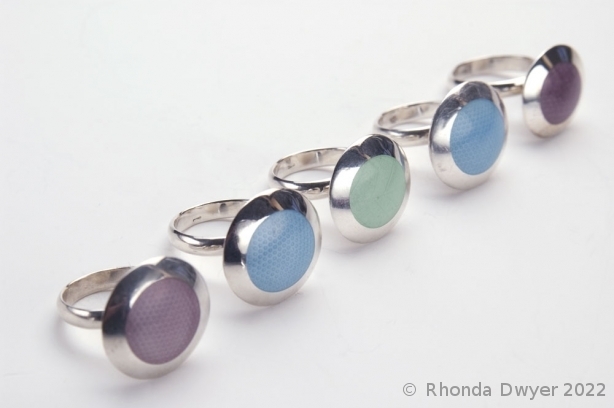 Hollow formed fine silver/sterling silver rings which has been enamelled. I have created a production line of these rings. Techniques: casting, soldering, doming, enamelling. Materials: sterling silver, enamel, fine silver Approximate dimensions: 20mm x 20mm x 25mm.